Holiday 2012 beauty look for hair and makeup. 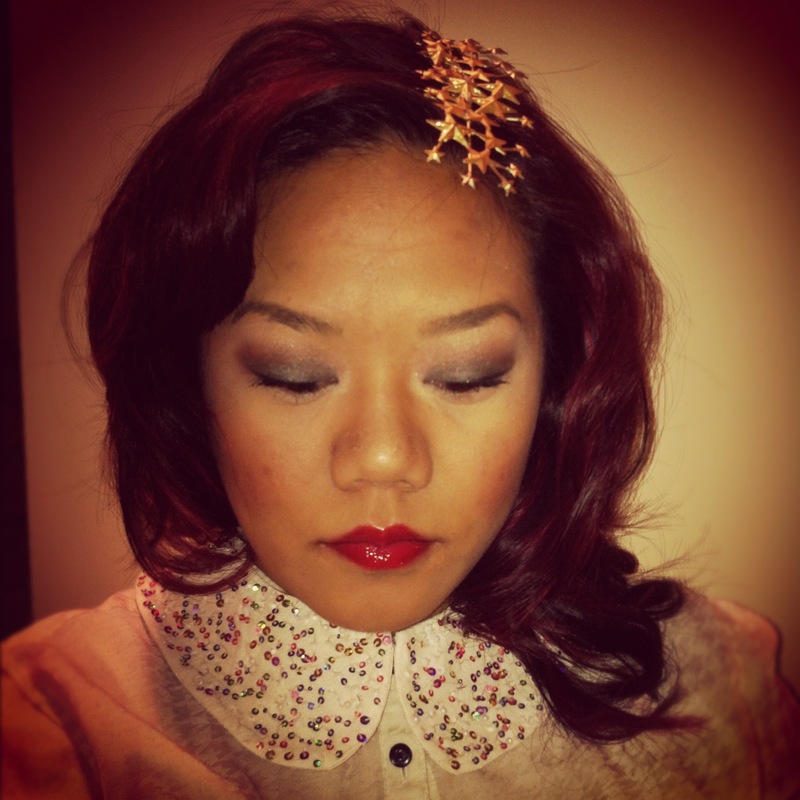 This holiday 2012 beauty look for hair and makeup is going to help you prepare for this season. We all want to look picture perfect! 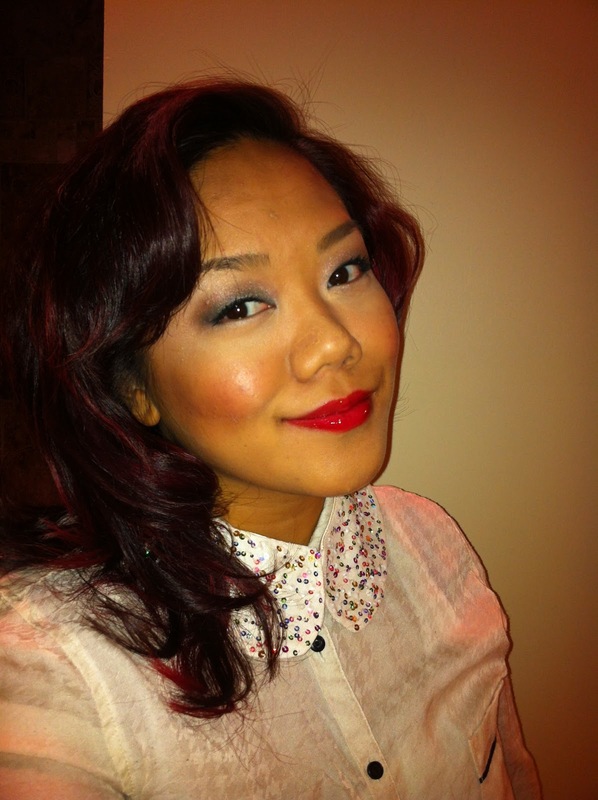 I was inspired by some of the national beauty brands from their 2012 holiday makeup looks. There were a lot of smokey eyes and red lips from Laura Mercier, Guerlain and Dior Beauty. 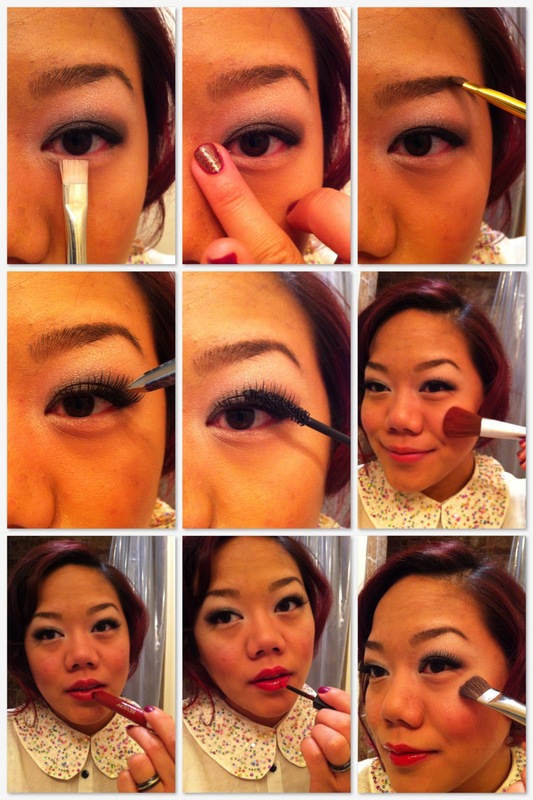 I created a tutorial board for my holiday makeup look below. 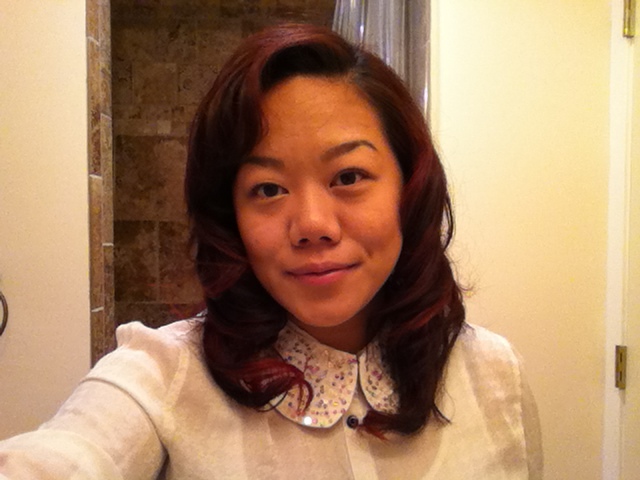 I styled my hair two different ways for my holiday hair look, which where inspired by the 1940's. Most likely, I am pretty much obsess with Lana Del Rey's music and looks (especially from her Born to Die music video). 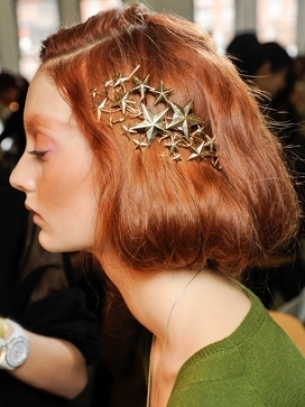 I also love Rodarte's Fall 2012 star hair accessory, it was worn by Kirsten Dunst at the MET Ball this year. 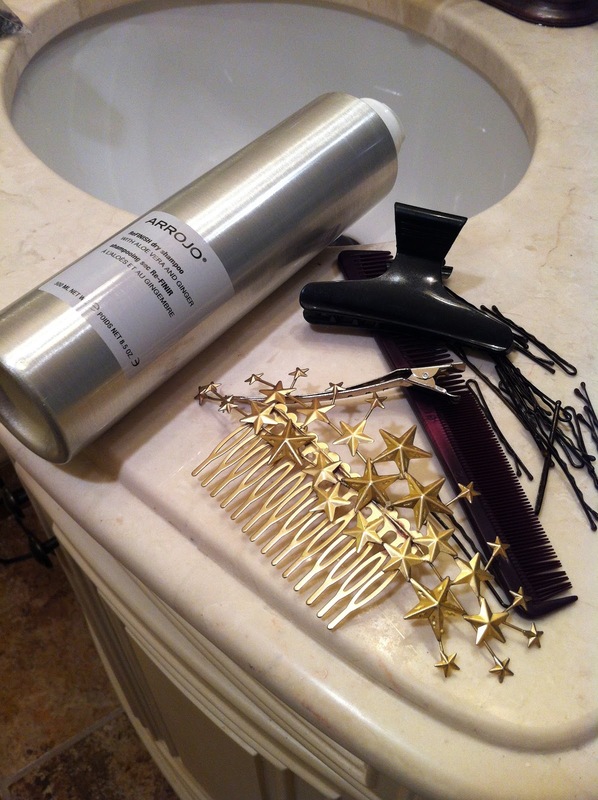 I found a similar star hair comb from the Elle hair accessory line at Ulta. I made two hair tutorial videos for these looks. I hope my inspiration will also inspire you to look great for this holiday! Enjoy! My finished holiday makeup look. 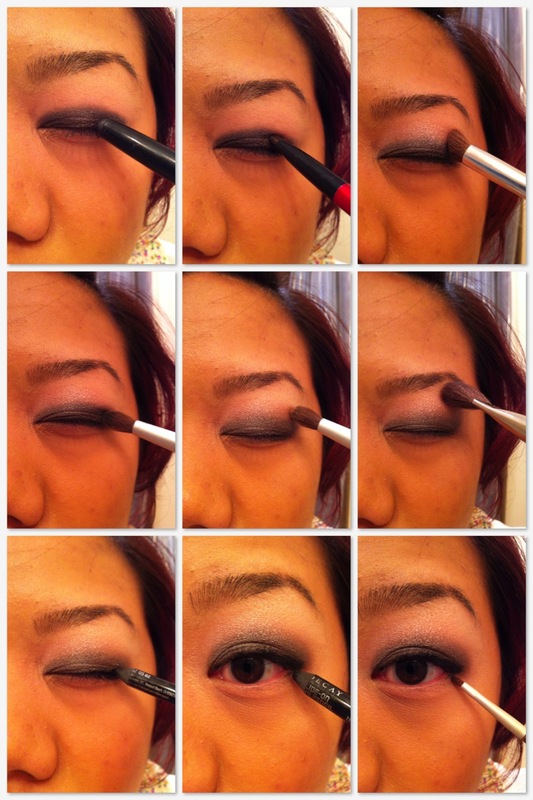 My first step was using the Trish McEvoy's 24hr Eye Shadow and Liner in crystal grey as a primer. 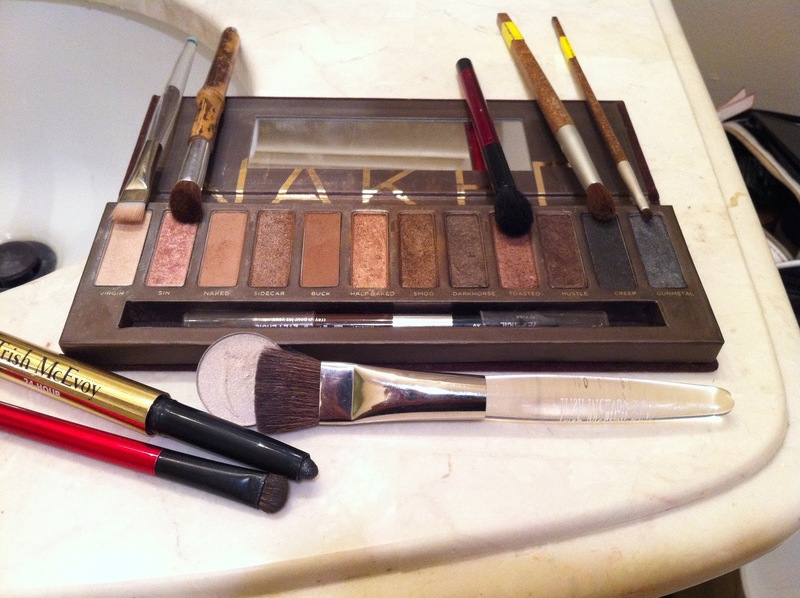 Then I mainly used the Naked eyeshadow palette by Urban Decay, and highlighted my eyes and cheek bones with the Custom Eye Refill Pan eyeshadow in ivory from E.L.F (it's only $1.00). I forgot to take a picture of my eyebrow product, which is in my second to last post, it's the Tarte emphasEYES Waterproof Amazonian Clay Brow Mousse in medium brown at Ulta. 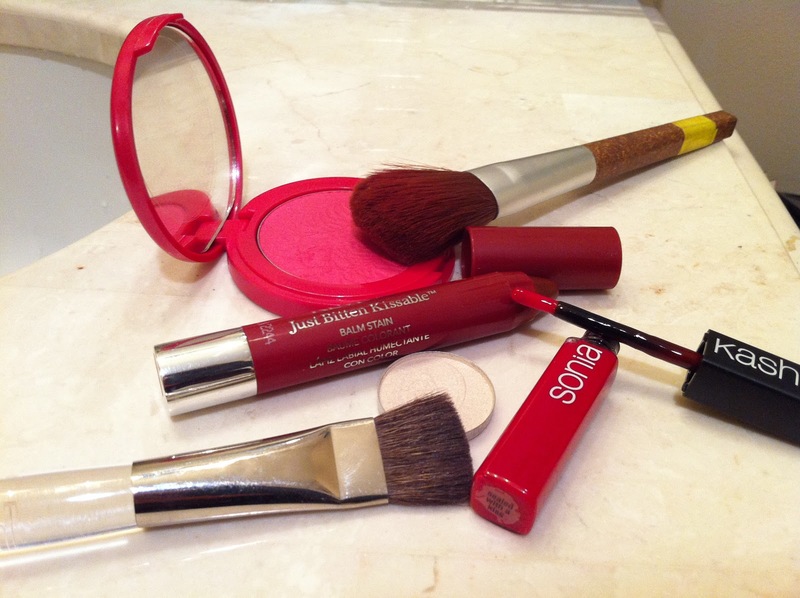 These are the cheeks and lip product I used. 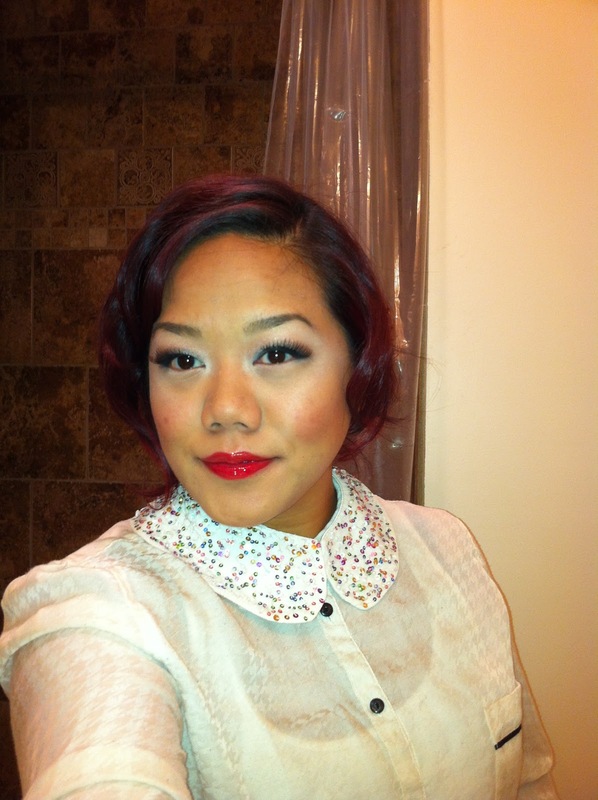 For the apples of the cheeks I used Tarte Amazonian Clay 12 hour Blush in natural beauty at Ulta. I used the E.L.F. eyeshadow in ivory to highlight my cheeks bones. Then for my lips I applied the new Revlon Kissable Balm Stain in adore at Target. And finished it with a red gloss, Sonia Kashuk Limited Edition lip and nails in sealed with a kiss also available at Target. Another one with out the false lashes and with my hair down. This is one of Guerlain's older collection, but I still love it for this season! Dior's Christmas 2012 Grand Bal Collection, available at Nordstrom. Lana Del Rey in her "Born to Die" video. 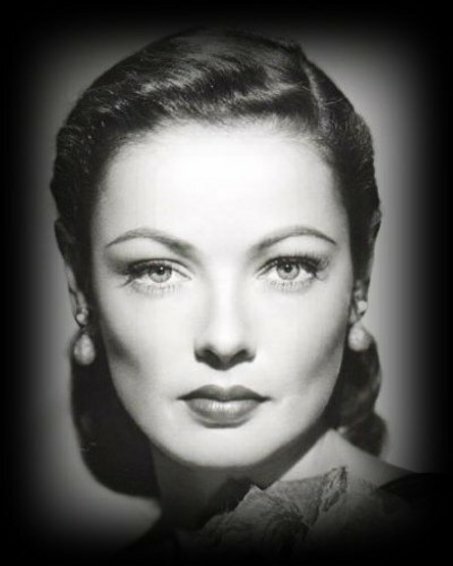 Laura Mercier's The Art Deco Muse Look. 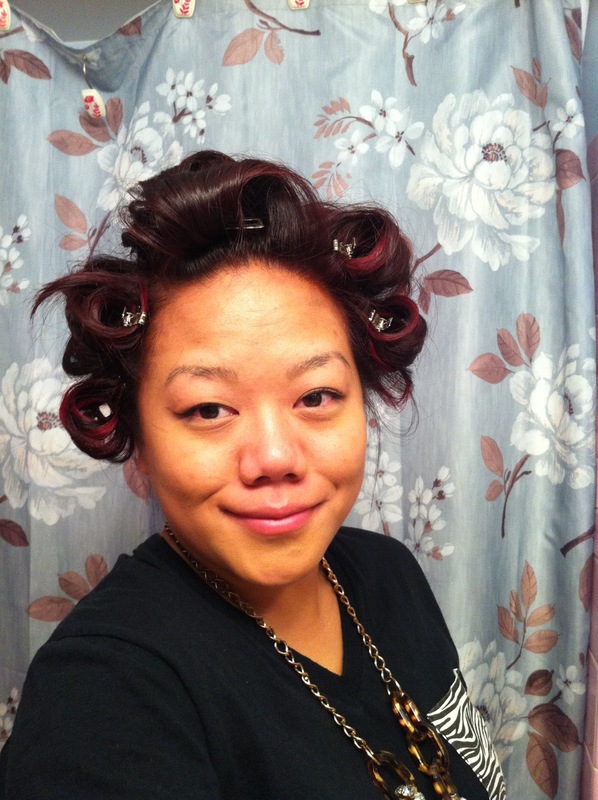 My holiday hair look #1, 1940's waves. Watch my YouTube video below on how to create this style! What you will need for this 1940's wave style is a dry shampoo for texture and hold (or if you prefer a light hold workable hairspray that works too), such as the ReFinish Dry Shampoo by Arrojo available at Moxie Hair Salon. 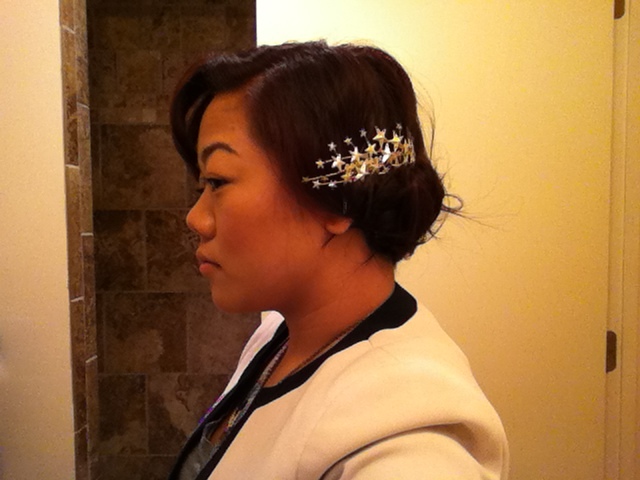 A few hair clips and gator clips (pin curl clips) are great to hold to section the hair and to hold the curl set. You'll need a smoothing iron (a straightener) or a curling iron (a 1 inch or 1 1/2 inches works), I used the Paul Mitchell Smooth 1.25 Iron also available at Moxie Hair Salon. I used the Molding Mud by Sebastian available at Ulta to polish my waves, I also saw another stylist use it in a way that I wouldn't thought of using it. Don't forget a comb, highly recommended :)! This is what I look with the gator pins in my hair, like back in the old days when woman used to set their hair every week. 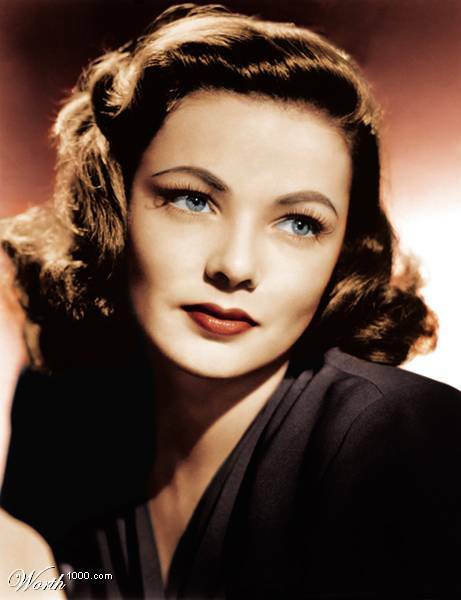 Watch me create a 1940's waves. Lana Del Rey's iconic hair look. 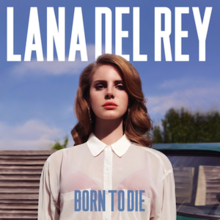 Again, Lana Del Rey from her album Born to Die. 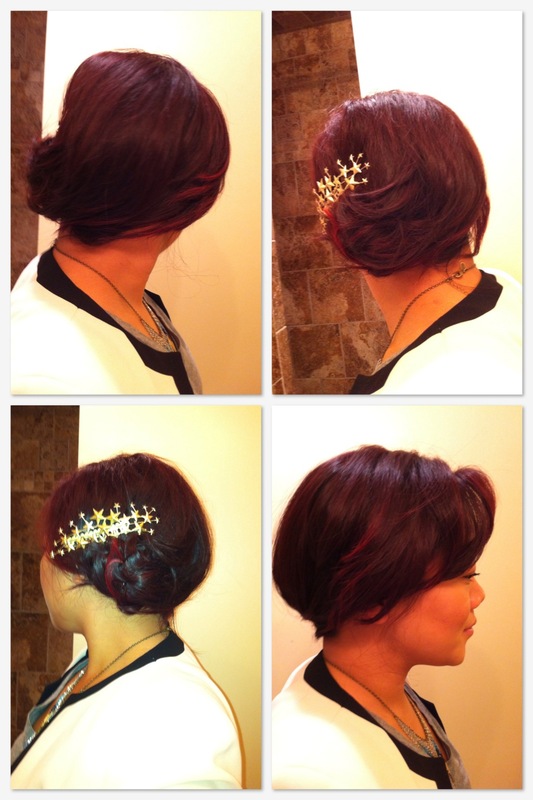 Wear the pin a few different ways if your hair is down. I sectioned my hair in three sections using a few hair clips. I section the top into a triangle, then I split the back of my hair in two in a slight diagonal line. 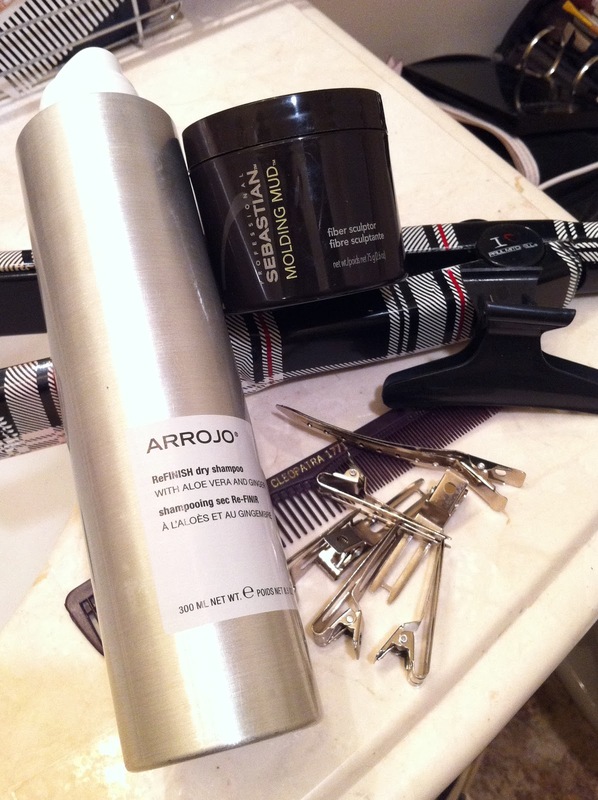 Then I used the ReFinish Dry Shampoo from Arrojo to add some texture at the base of my hair so I can back comb it. I used a comb to back comb (tease) the base of my hair (roots). I rolled the first section of my hair in a bun (which ever side you would like your side bun to be), pinned it in with a few bobby pins. Then I combed my next section over, which is the opposite side of my first and rolled it in over my previous bun and pinned it in. I then took my last top section and just placed it where I wanted it to lay, if you have have longer hair for that third section, just repeat the same steps as the previous section. 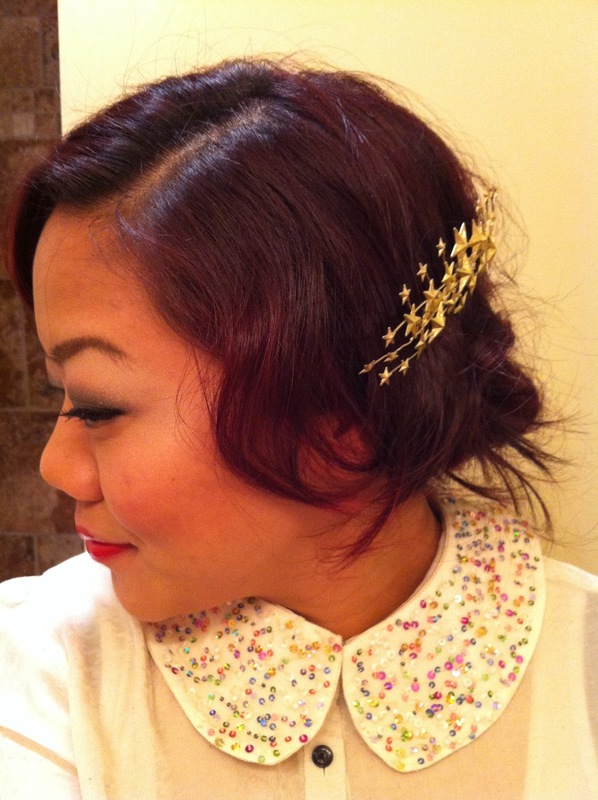 To finish the look I placed a star pin from the Elle hair accessory collection at Ulta. Watch my video on how to create a quick and easy side bun updo for the holidays. 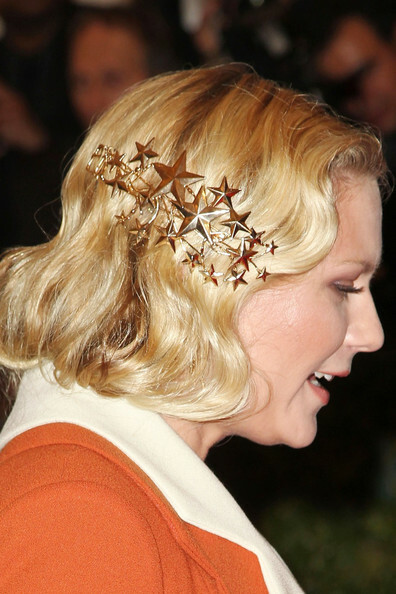 Kirsten Dunst wearing Rodarte hair accessory. Thank you so much and I hope you enjoyed this beauty post for the holidays! Have a happy holiday!